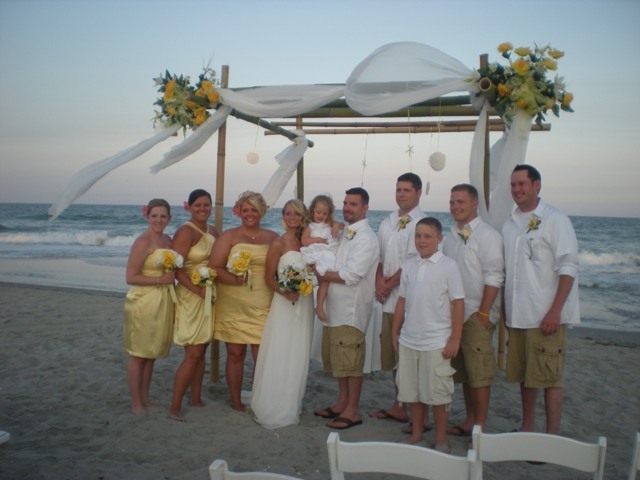 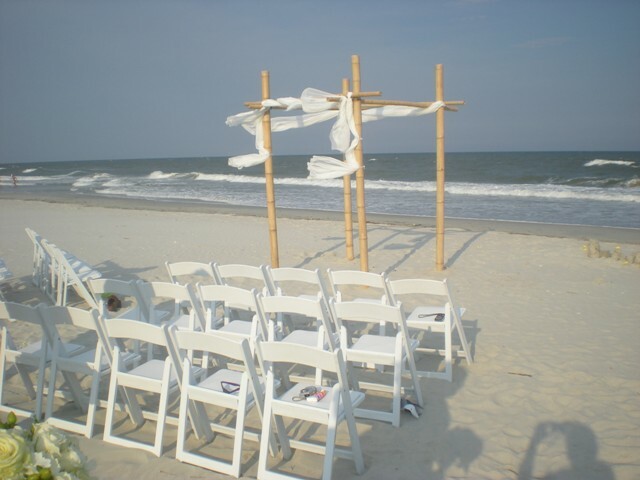 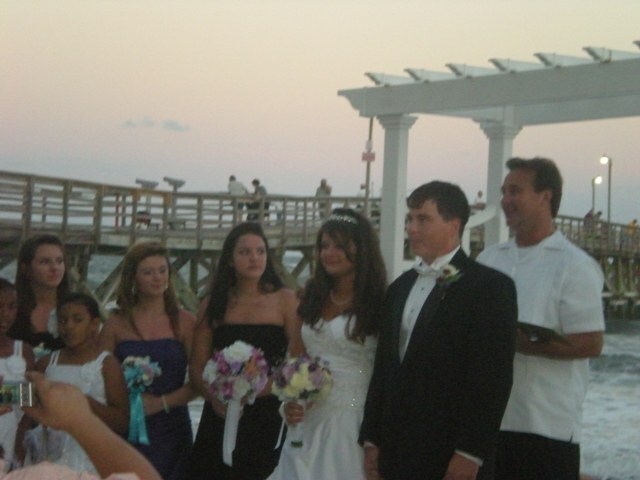 Beach ceremonies can be just a few close friends and family gathered around standing or a large group of guests seated in white chairs. 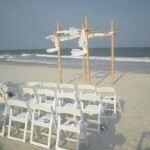 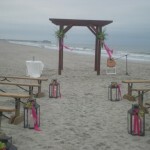 Many of the couples want their toes in the sand for their dream ceremony. 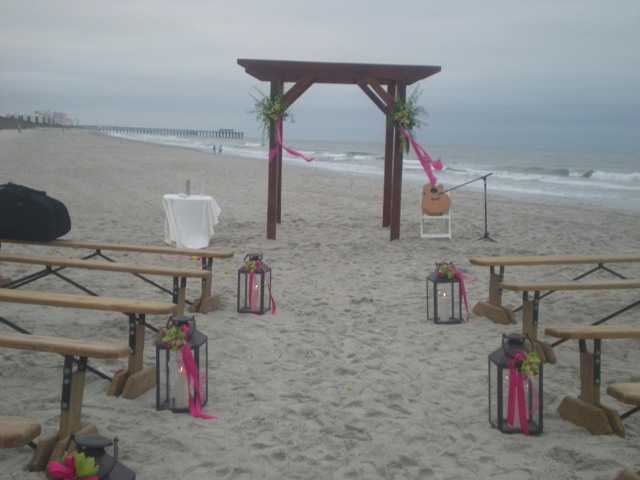 Just keep in mind that this would have to be done outside the city limits of Myrtle Beach either to the North or South of the city limits. 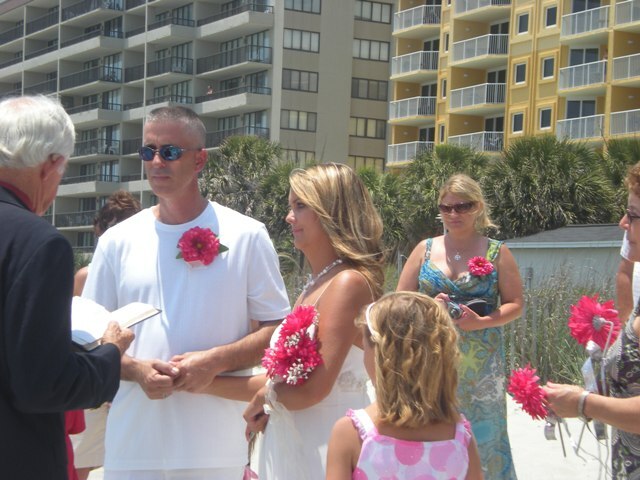 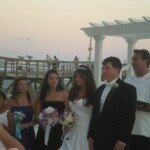 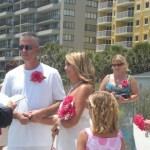 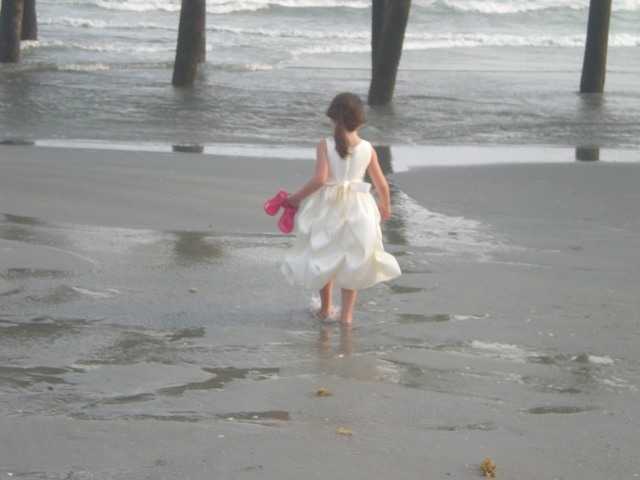 Weddings on the beach are not allowed inside the city limits of Myrtle Beach. 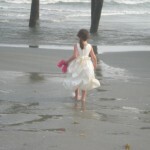 If you are unsure of a location, I can advise you.